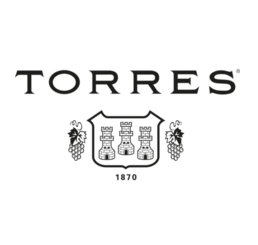 Bodegas Torres wines? Order Miguel Torres wines easy and safely! The Torres family surname has been linked with wine for more than three centuries, during which time our ancestors have worked vineyards in Penedès, a land with a millenarian tradition of wine. The Torres family, generation after generation, has transmitted the secrets of winemaking and love of the land. This tradition, allied with a vision of the future, have turned Torres into a great exporting company currently trading in more than 120 countries. The Torres headquarters, in Vilafranca del Penedès, is the root of a great dream that has grown since the very first day. Nowadays, Torres has more than 1,300 hectares of its own vineyards and is present in more than 150 countries. The Torres name is associated in some of these countries with the best wines in the world. Wine is the fruit of the earth Committed, generation after generation, to environmental conservation. Bodegas Torres has always practices environmentally-friendly wine-making with the use of biological alternatives instead of products that are aggressive on nature. We try to minimise the environmental impact around our vineyards by not using insecticides, etc. and only applying environmentally friendly products. For weed control we have replaced traditional weed killers with mechanical elimination or by establishing plant cover between the rows of vines, reducing erosion, increasing organic matter and improving biodiversity as the plant cover becomes a habitat for numerous beneficial species.